Château Gantonnet dates from the 19th century. It is situated in Sainte Radegonde, a small village with its origins in the Middle Ages and within the Entre-deux-Mers region. The château is close to the Dordogne river, overlooking the village where it enjoys excellent exposure to the sun. Wines produced in the Entre-deux-Mers appellation have an excellent reputation for value for money. 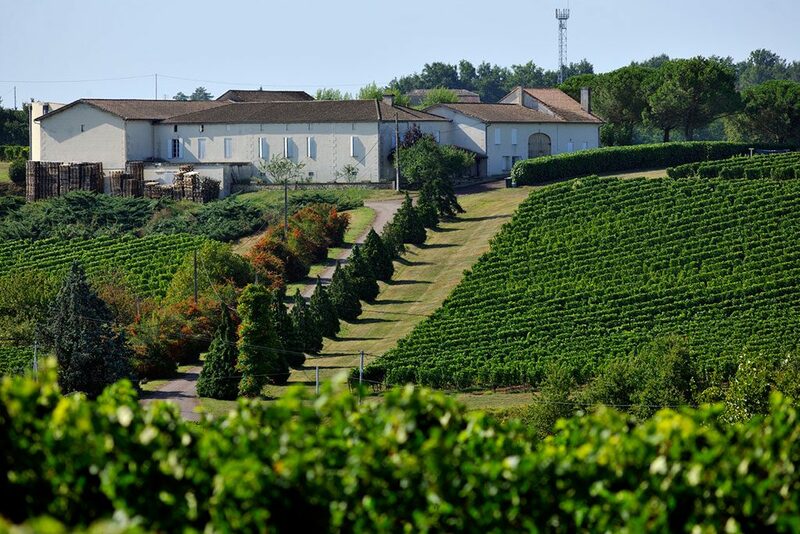 But Gantonnet offers more than just value; their wines are well-defined and stylish.They crop much lower than permitted and they have older vines than those around them, aiming for quality not vigour. Bordeaux Blanc: Sauvignon Blanc 50%, Semillon 20% and Muscadelle 30%. Cold maceration with skin contact for 6-12 hours before pressing. 90% in stainless steel vats along with 10% matured in 25 new barrels. Lively mouth feel with notes of white peach and citrus fruit. Bordeaux Rouge: Merlot 70%, Cabernet Franc 30%. A three week maceration followed by running off and pressing. One year in large oak barriques followed by blending before bottling. Aromas of black fruit.Well-structured with rich Christmas cake notes and juicy firm tannins.